*Requires macOS 10.12 or higher. If you love the outdoors, you can plan your next trip with Topo Maps+ so that you can go deeper into the backcountry. Are you a serious hiker who wants to be prepared when navigating deep in the backcountry? 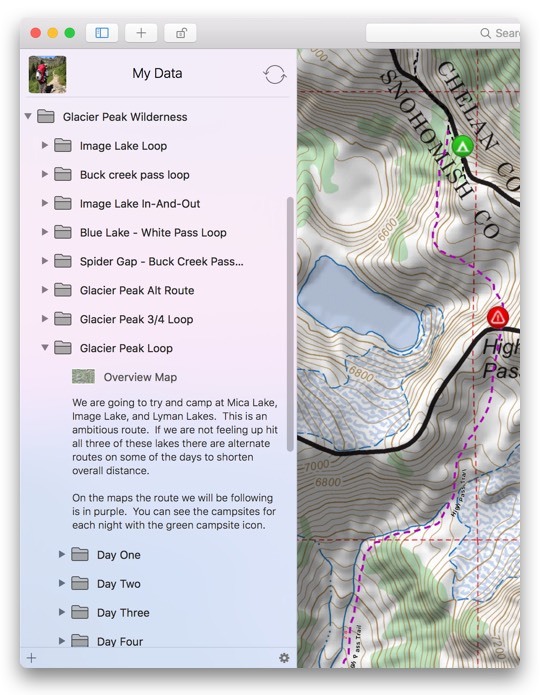 Topo Maps+ gives you the tools you need to plan and be prepared for you next backcountry adventure. Easily print custom maps before you head out. To safely navigate in the backcountry, printed maps have magnetic declination and distance scales on them. All of your data is synchronized between your iPhone, iPad, and Mac. 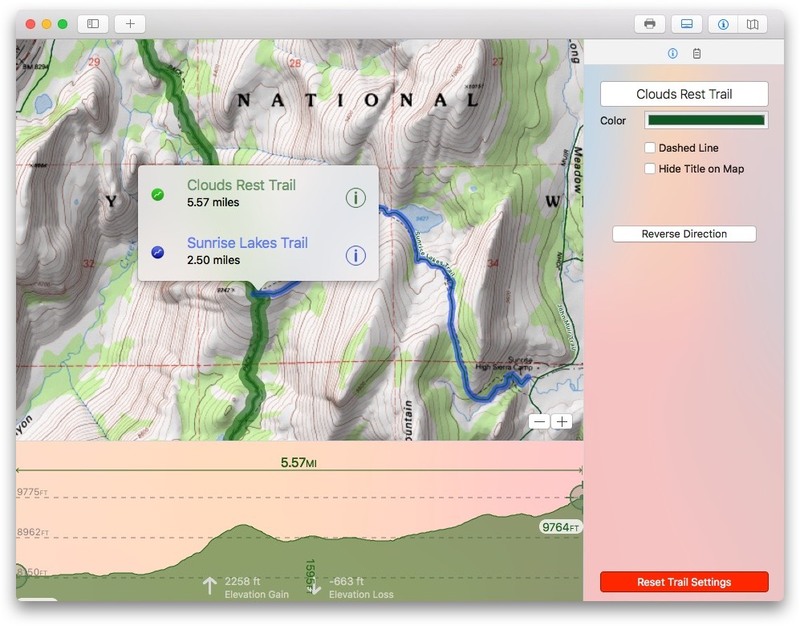 Plan your trip on your mac and then use the data on your iPhone. Organize all of your trip data in easy to use categories. Once you have your trip planned, share the data with your hiking partners. In the wild, trails are not isolated segments between two points, they are a network of interconnected paths with numerous possible routes. 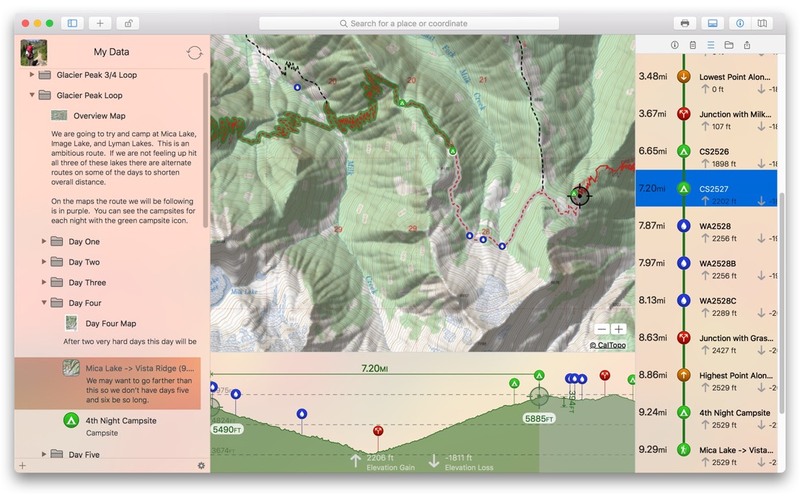 Topo Maps+ lets you explore any possible route through a trail network. Don't want to exactly follow the trail? No problem. The trails interact with your own traced routes so you can easily explore custom routes. 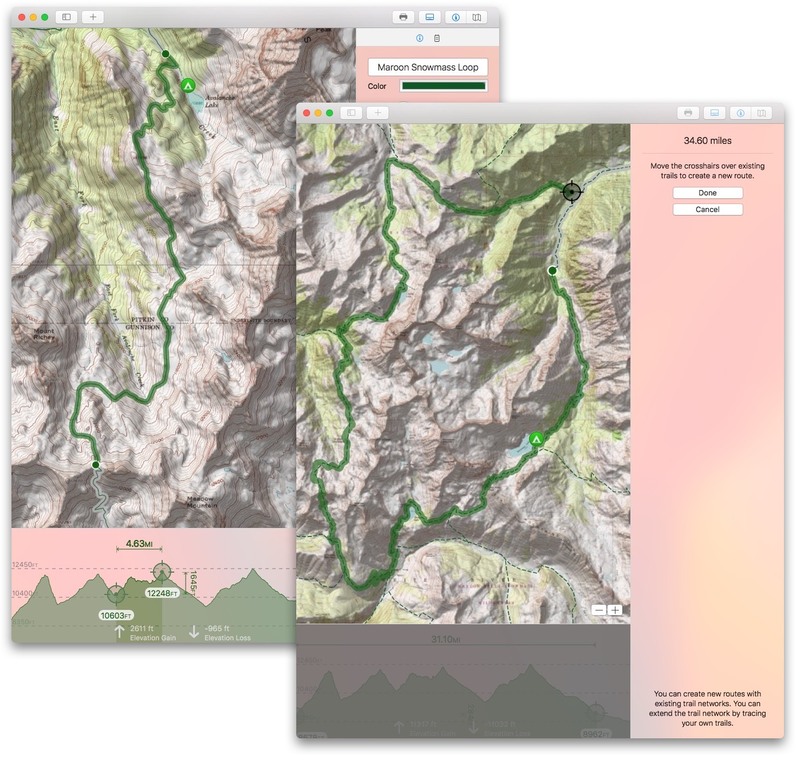 View elevation profiles and change details for routes and trails. Don’t interact with static maps, interact with trails. 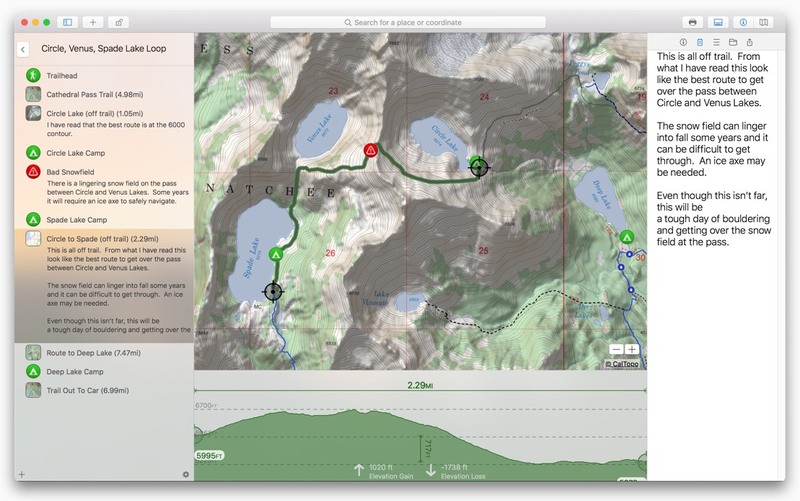 Select trails on the map to see elevation profiles and change how they are visually displayed on the map. Trace new trails with your mouse or trackpad instead of your finger. 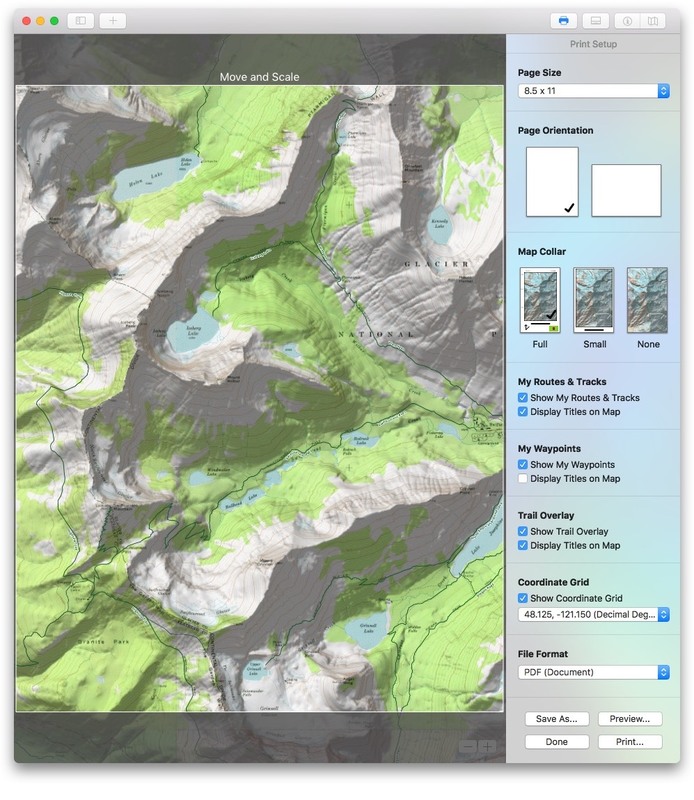 Unlock all the planning features and maps with Topo Maps+ PRO. 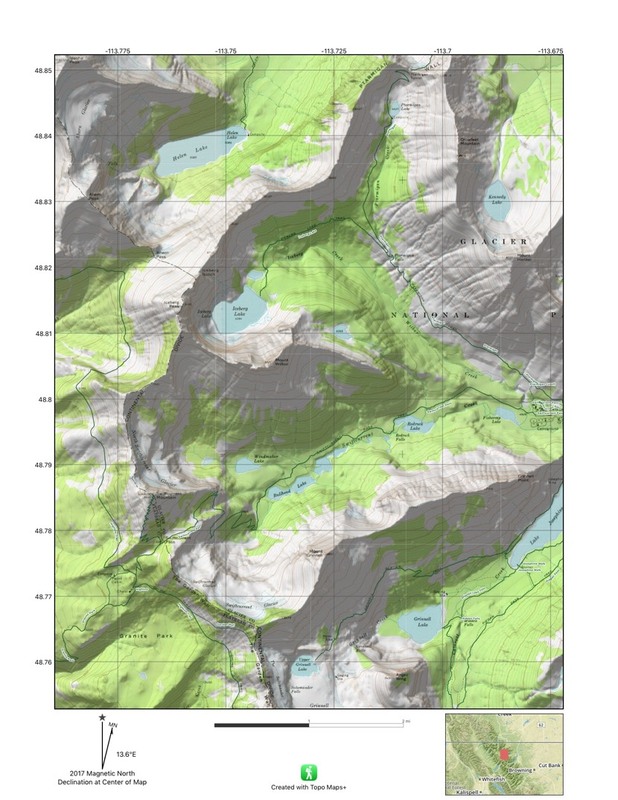 The free version of Topo Maps+ is a great way to get started. 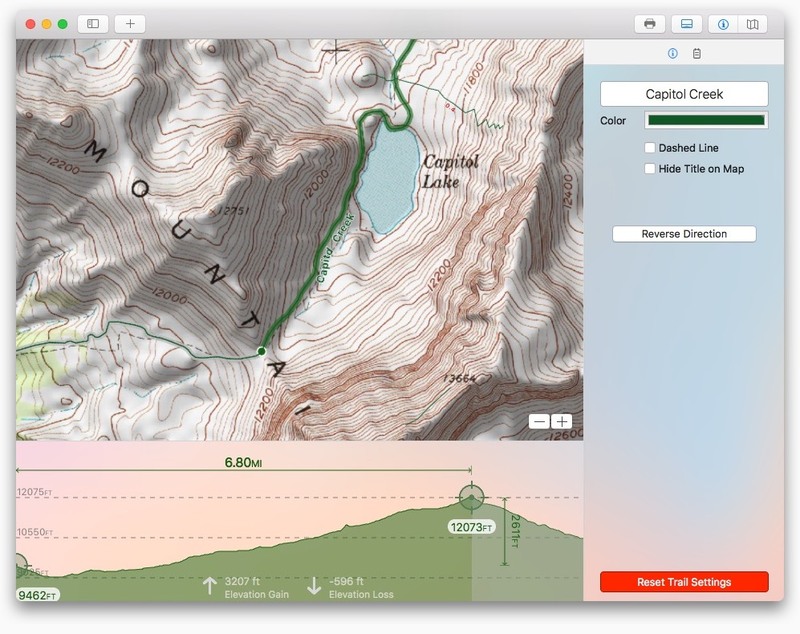 What version of macOS does Topo Maps+ run on? 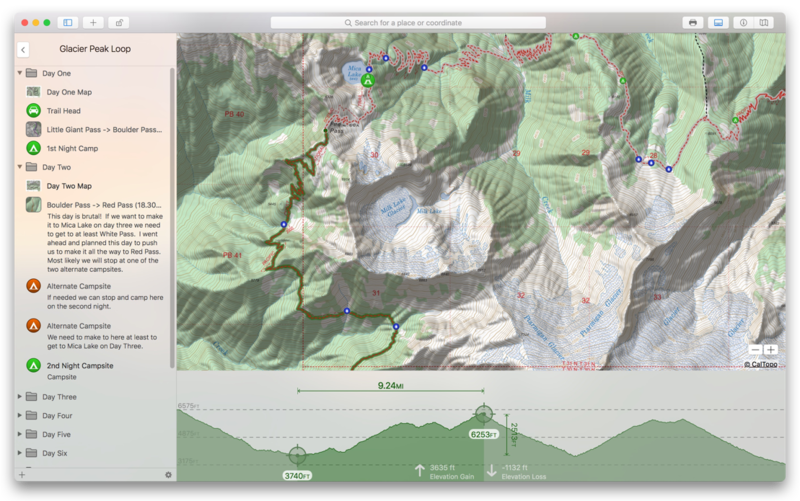 Topo Maps+ for macOS is built using the latest macOS technologies. 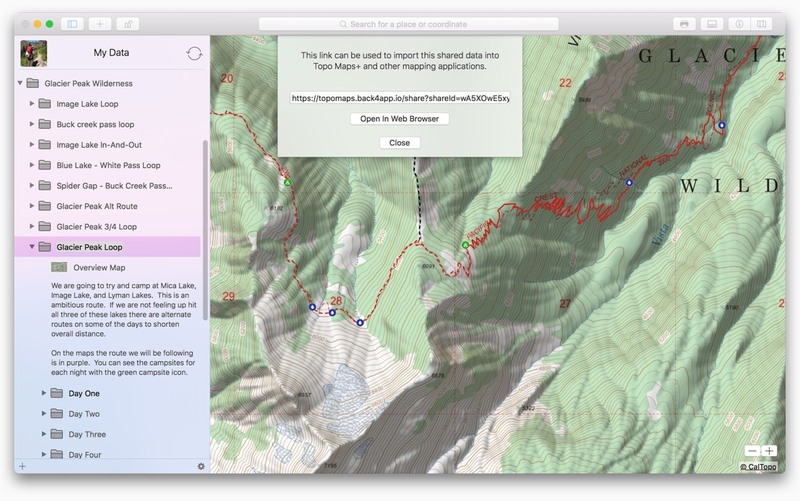 You will need to have macOS Sierra (10.12) to run Topo Maps+ on your mac. Is there a trial version? 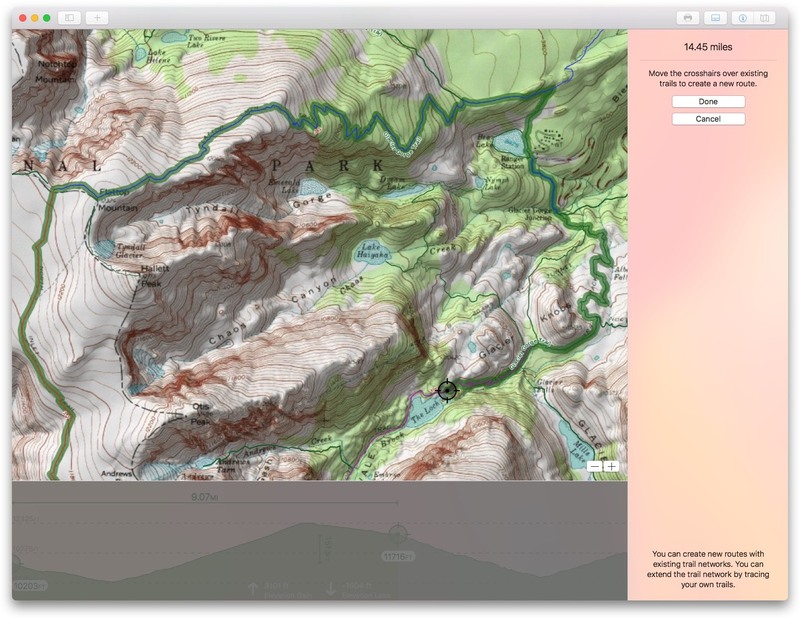 While, there is not a trial version for Topo Maps+, you can use the free version of Topo Maps+. What happens when my PRO subscription runs out? 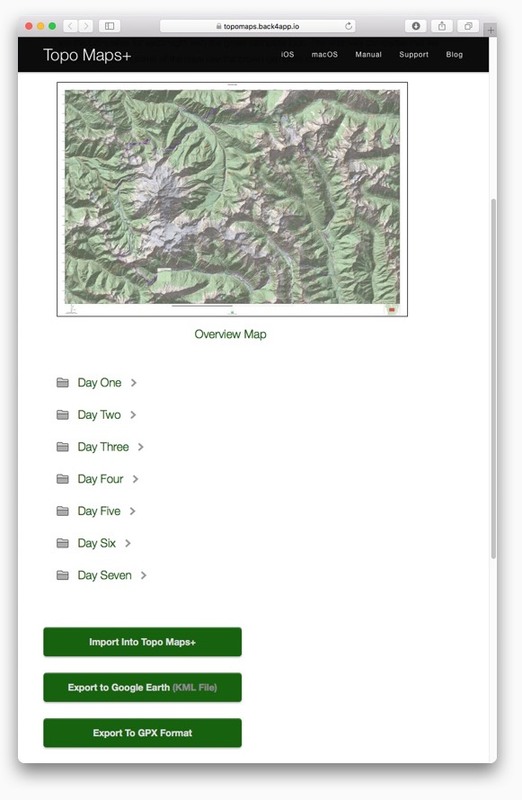 If you choose to not renew your subscription you can continue to use all of the data you created with PRO and use all of the free features of Topo Maps+. 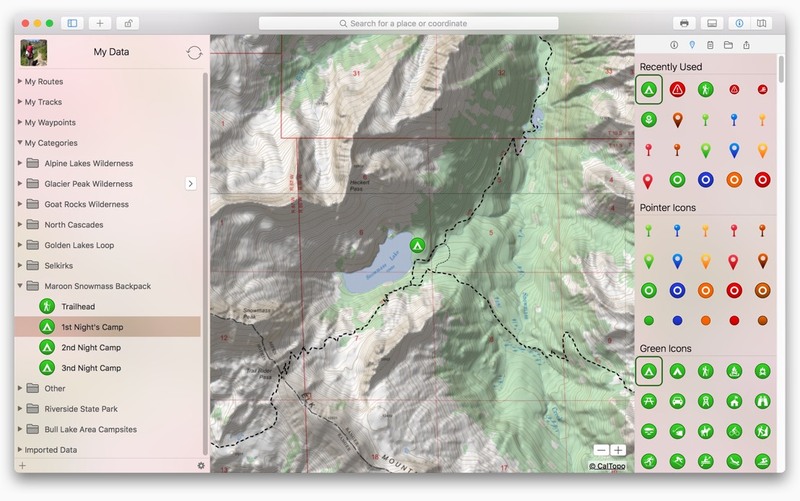 How many Macs can I run Topo Maps+ on? 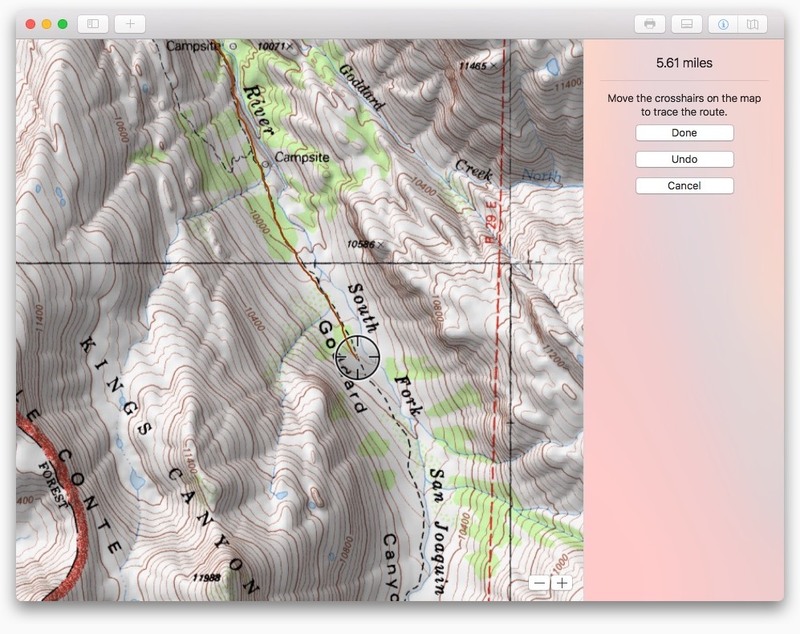 With one purchase, you can run Topo Maps+ on all of your Macs.